As you know, since the Great Financial Crisis in 2008, debt levels have only gotten worse. But not just for governments. Sovereign debt, corporate debt and consumer debt are all at all-time highs. The US government has $22 trillion of debt and is running $1 trillion+ deficits every year. There’s a record $15 trillion of corporate debt. And the US consumer has racked up around $4 trillion of debt (not including mortgages). Last week, one of the most respected hedge fund managers in the world came out with a warning scarier than anything we could have dreamed of. Seth Klarman runs the $28 billion hedge fund, Baupost Group. The guy is famously secretive (and conservative). So the fact that he went out of his way to make this public statement means you should pay attention. Also, Klarman’s fund is closed (he’s actually been returning money), so he’s not doing this to scare people into investing in his fund. In addition to debt levels, Klarman is worried about the increasing social unrest (something we’ve written about in detail) and the public’s inability to decipher who is telling the truth these days between politicians and the media… both of which make it difficult for a capitalist system to thrive. In 2018, the federal government’s deficit hit $1 trillion. But these are “good times,” with soaring asset prices, solid corporate profits and record-low unemployment. What happens when a recession inevitably occurs. Our friend Jim Grant of Grant’s Interest Rate Observer, says the deficit will blow out to $2 trillion. So, $22 trillion in the whole and a $1 trillion deficit in a good year. Not to mention, interest rates are rising, which means all of this debt is just getting more expensive. Eventually, people will simply refuse to lend Uncle Sam any more money… because they know there’s no way they’ll be repaid. And we’re already seeing signs of that. The government already spends 28% of its revenue just on interest (at a time when interest rates are near all-time lows). Again, this isn’t Sovereign Man speaking… it’s a bespectacled hedge fund manager out of Boston. At the recent Davos gathering, Ray Dalio, founder of the world’s largest hedge fund, said he thinks the next downturn will be worse than the Great Depression. 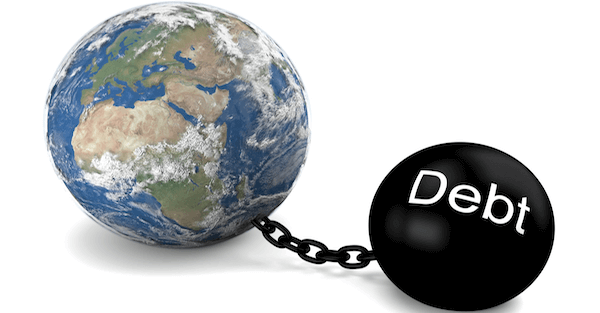 The world is drowning in debt. And there’s no austerity measures in sight. 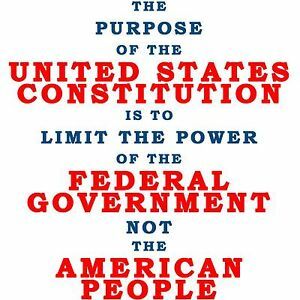 In fact, a rising tide of socialist politicians want to explode government spending (paying for free healthcare, education and everything else under the sun). We don’t know when this monetary experiment will end. The European Central Bank and Bank of Japan both essentially reneged on their plans to start tightening monetary policy. And yesterday, the Federal Reserve has signaled it will stop hiking rates. Global central banks, it seems, have already given up on their weak attempts to tighten… fearing the economy wouldn’t hold up. If they step back on the gas of QE, I believe that’s the point when people lose faith in fiat… and the US dollar specifically. And while this all goes down, the central banks (who control the printing press) have been buying gold at the fastest pace in years. You may want to consider doing the same. Gold is one of the few asset classes that hasn’t risen to absurd heights. But it may be coming back to life… the metal rallied to an eight-month high this week. Here in Canada we are billions in debt. To give you a picture of how bad it is and that no one can ever pay it off. if you had a printing press and you printed a dollar bill every second it would take 12 days to print 1 million dollar. 12 years to print a billion and 126 years to print yourself out of the Canadian debt. I have no ideal about the USA but I`m sure it`s the same as here.